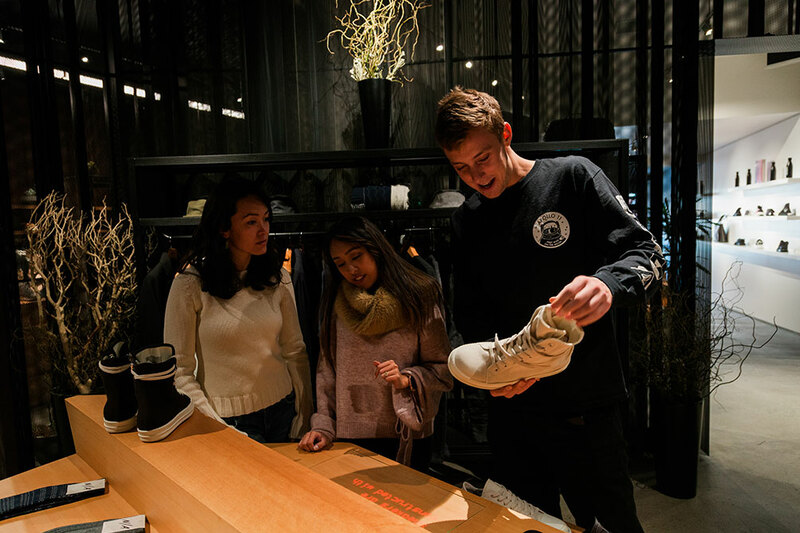 Ideum worked with design firm West of West to create an innovative and engaging display system for Stashed, a newly-opened shoe and clothing store in San Francisco’s Dogpatch neighborhood. Stashed’s owners sought a unique and interactive way to share the stories behind their products with customers. 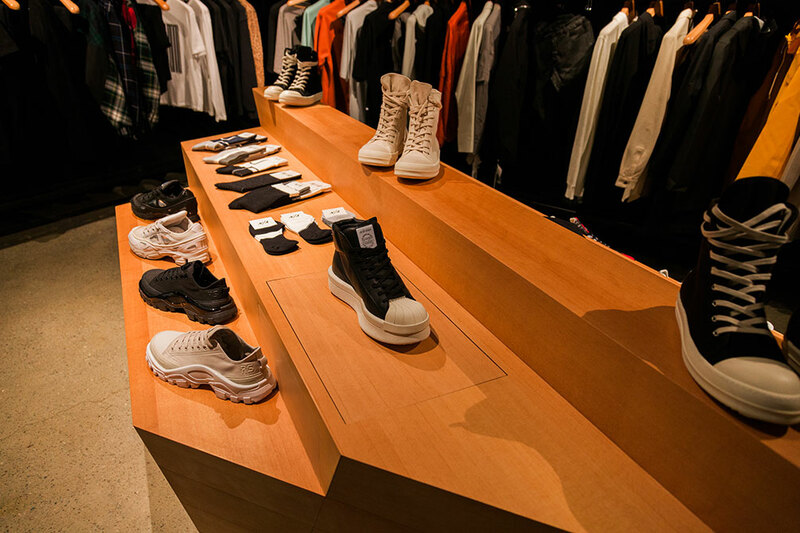 Ideum worked with Stashed to design LED panels hidden inside the store’s display furniture. 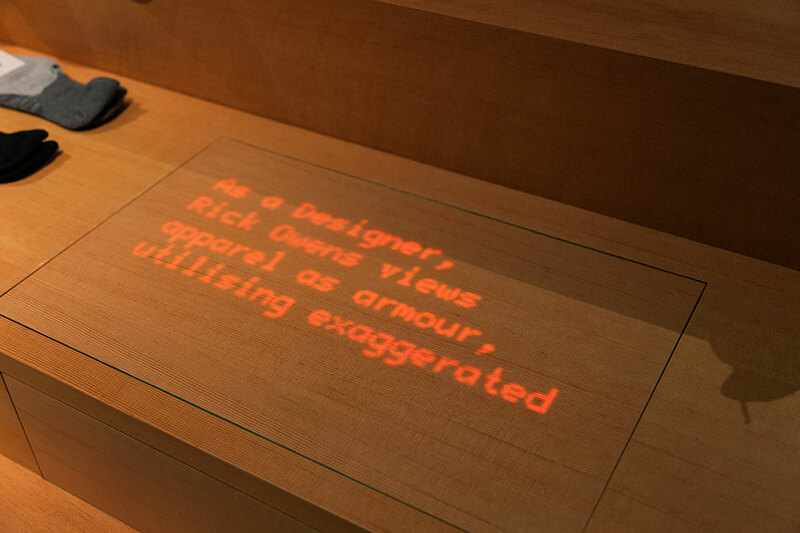 When customers pick up shoes resting on a concealed panel, a scrolling message about the shoes’ design glows through the wooden veneer. 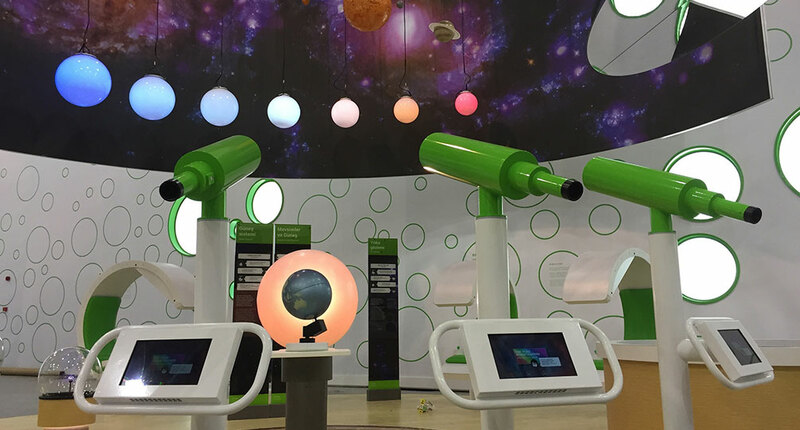 Ideum programmers and hardware specialists combined several technologies to create the system. Text is stored on Raspberry Pi controllers at each of the three display units. The shoes rest on thin veneer panels on top of the LED arrays. The panels are connected to pressure sensors. When the shoes are lifted, the sensors send a message to the controller, activating the display. A content-management system, or CMS, in the store’s computer room allows staff to adjust scrolling speed and update text when they wish to highlight a different set of sneakers. Ideum also designed and fabricated the platforms holding the LED panels, controllers, and pressure sensors and worked with the store’s custom woodworker to embed the units seamlessly into the furniture. Ideum was pleased to have the opportunity to collaborate with new partners on something out of the ordinary—and to bring an unexpected smile to customers’ faces in the bargain. Shoes rest on LED panels equipped with pressure sensors. Picking up shoes activates the display. 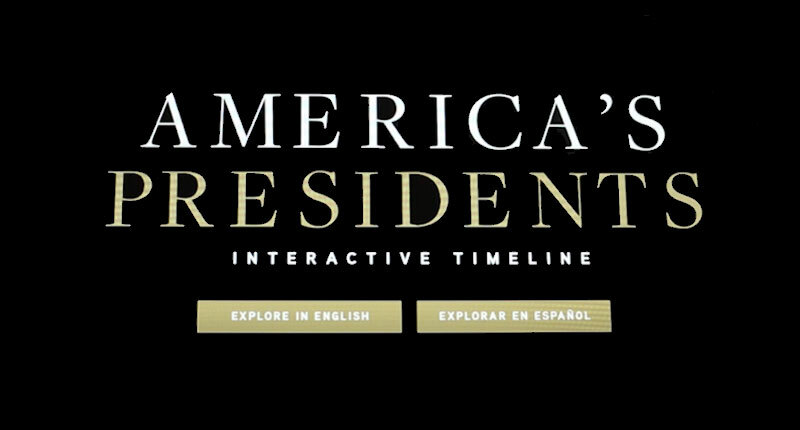 Scrolling text provides information about the designer’s goals and process. 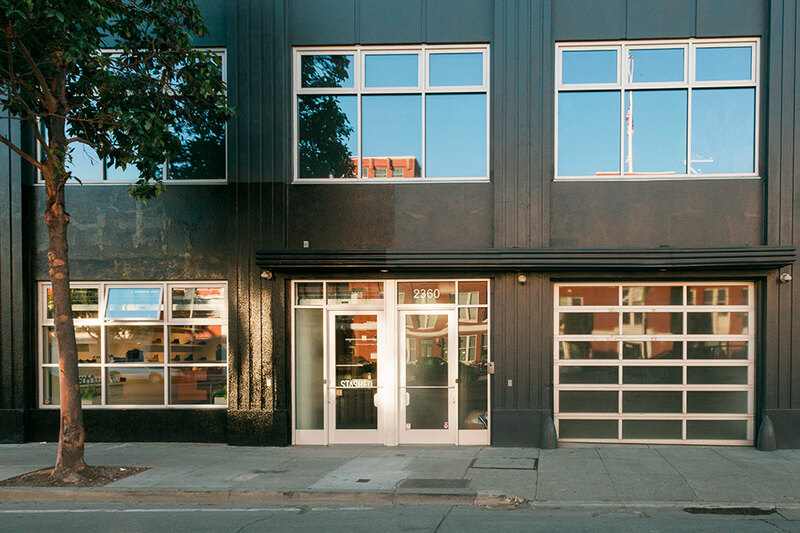 Stashed is located at 2360 3rd Street in San Francisco.